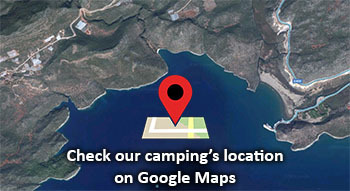 Andriake Camping is a so natural place at the Turkish Mediterranean coast in the antique Harbour of Demre (Andriake/Myra) with lots of shady place for campers and caravans, with a variety of trees, plants, flowers and birds. In front of the camp area there is a clear sea and a marvellous sandy beach between two healy cold river. 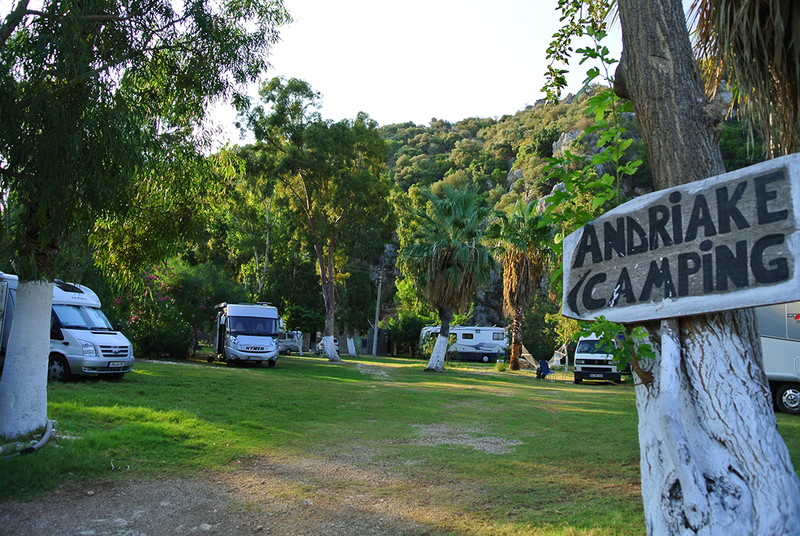 Andriake Camping faces the West so you can watch the colorful sunset on the misty Kekova Island. Thanks to its geographical location it is perfect for cultural and outdoor excursions. The Lycian Way comes from the nomadic bridge through the beach and reachs the camp area. Andriake Antique HarbourΜseum and Bird Park is only a 10 minutes walk away. Taking boat tour to Kekova Island (Sunken City), visiting the Myra Antique City, St. Nicholas Church, Soura, trekking in the Lycian Way and in St.Nicholas way, take excursions, watching the enchanting scenery, snorkeling, swimming, sun tanning at the beach, freshing in the healy water of the rivers, mud bath, fishing, reading, relaxing or doing just nothing will be among your Daily routine. Welcome to the Nomadic Kitchen!! You will find food prepared with fresh vegetables which are grown in the greenhouses in the centre of Demre. Fruits, traditional cheeses, eggs, butter, honey come from the local village to serve you in the breakfast. Traditional foods are prepared daily in the true home-cooking style. Home-made yogurt, jam, pickles, and olives are also served on the meals. In the dinner we are preparing barbecue on the wooden fire with local fresh fish, chicken and meat. Fish service depends to the local fishermen.